Professionally design manufacture and world wide supply Automatic CD/DVD multi color screen printer,Fully automatic 2-3-4 color CD/DVD screen printing machine equipment,high speed rotary industrial CD silk screen printers. Machine builds with strong constructure. Auto CD/DVD feeding, auto CD/DVD silk screen printing ,auto CD/DVD LED uv ink drying, and auto CD/DVD unloading. Works with LED UV curing systems, long working life saves electrical power and money. Builds with famous brands electrical components such as SMC and Festo etc. 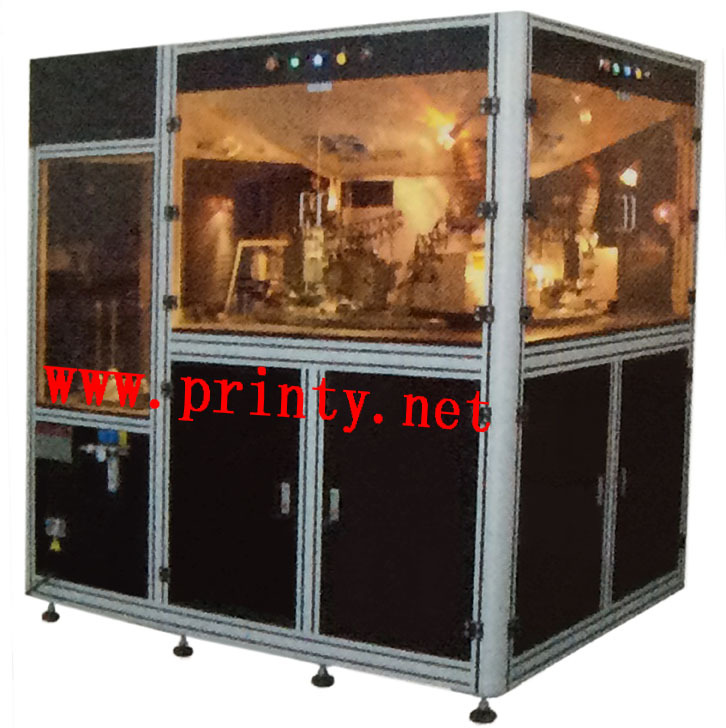 Different size and purpose automatic flat screen printer printing machine equipment can be custom made. Silk screen printing speed approx 3600pcs/hr. Power consumption 8.5Kw for 3 color machine, and 9.5Kw for 4 color machine.